Consider this Noco charger for charging of any 12-volt battery used in our system. A charge-port for the charger enables charging of the battery without removal from the pod. Click on the image below for more details. *The master switch must be “ON” to charge. While you can charge lithium-ion batteries with the Noco charger shown above, lithium-ion batteries will allow charging under a much higher amperage than that charger can produce. 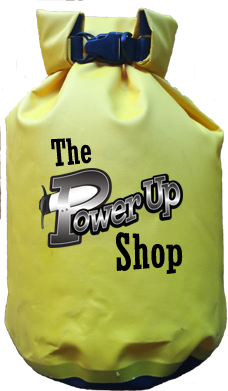 We therefore suggest you also consider the lithium-ion battery chargers available for sale in The PowerUp Shop. Those chargers will charge the lithium-ion batteries much faster, but they are not compatible with the connection on the Noco battery indicator used in our system.